Winner of the Pulitzer Prize--a powerful love story set against the backdrop of the Civil War, from the author of The Secret Chord. 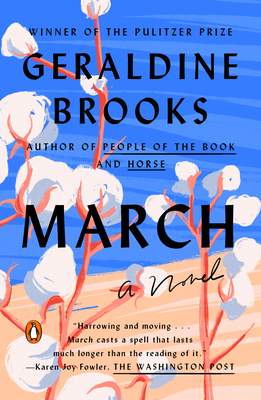 Geraldine Brooks is the author of five novels: the Pulitzer Prize-winning March; the international bestsellers Caleb's Crossing, People of the Book, and Year of Wonders; and, most recently, The Secret Chord. She has also written the acclaimed nonfiction works Nine Parts of Desire and Foreign Correspondence. Born and raised in Australia, she lives on Martha's Vinyard with her husband, the author Tony Horwitz, and their two sons.